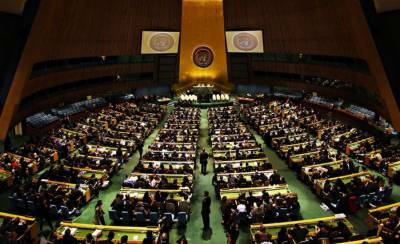 NEW YORK – The 72nd session of the United Nations General Assembly kicked off in New York on Wednesday. Miroslav Lajcak, the new president of the UN General Assembly , declared the opening of the 72 session of the decision-making body of the United Nations. In his opening speech at the first plenary session, Lajcak outlined his priorities for the year ahead: people at the center of work, balance of interests, quality of work and transparency. He said that said that efforts will be continued to fight poverty and inequality during the next year. “Sometimes the work of the United Nations can be very complex. But the reason for its establishment was simple: the United Nations was created for people. Its job is to help people who are striving for peace and a decent life on a sustainable planet,” he said. Prime Minister Shahid Khaqan Abbasi will address the UN Assembly on 21st September.